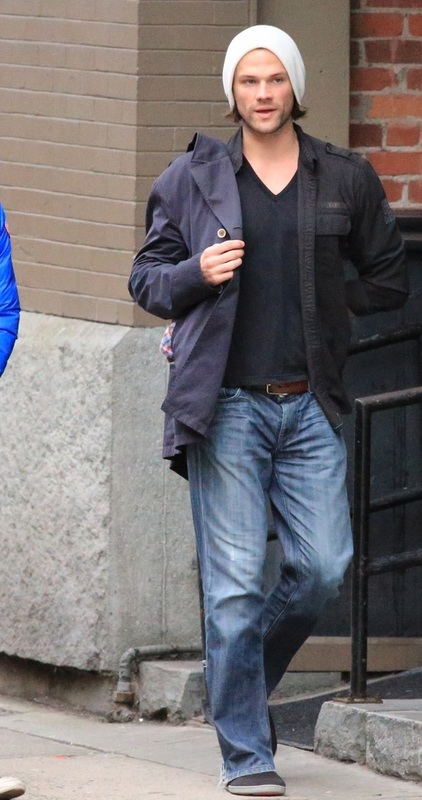 Jared Padalecki was snapped wearing a pair of really relaxed (=baggy!) jeans. He rocked a white beanie to keep warm as he was heading to a set in Vancouver, Canada. I truly believe that this gorgeous guy would have looked even better if he had worn a pair of maybe a little tighter fitting jeans! I know, there will be some of you who disagree, LOL! But I believe that a guy just looks better in more fitting jeans. There are many options nowadays to wear slim jeans and have all the comfort of baggy jeans. 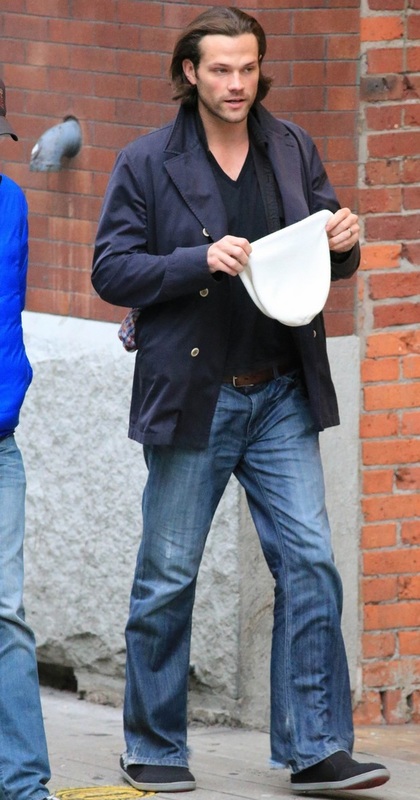 Jared, how about trying on a pair of jeans that are slimmer and have stretch to keep you all comfy?! But if you love those kind of super relaxed jeans, oh well, then you can find quite a selection here.